New York (TADIAS) — This week Prime Minister Hailemariam Desalegn stunned Ethiopians around the globe when he announced plans to free political prisoners at a press conference in Addis Ababa on Wednesday in order to facilitate political dialogue. Hailemariam also declared the shutting down of the country’s atrocious Ma’ekelawi detention center. 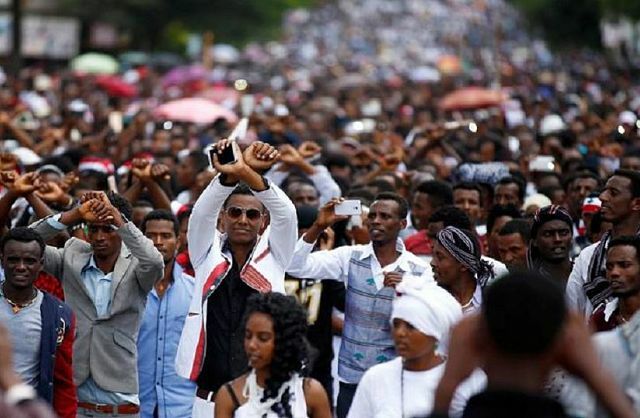 The news was a major triumph for youth protesters across Ethiopia who have been demanding political reform for the past couple of years. But the question remains: Will the ruling party follow through on its latest promise? We hope the next steps will include allowing the formation of a truly multi-party federal system in Ethiopia.